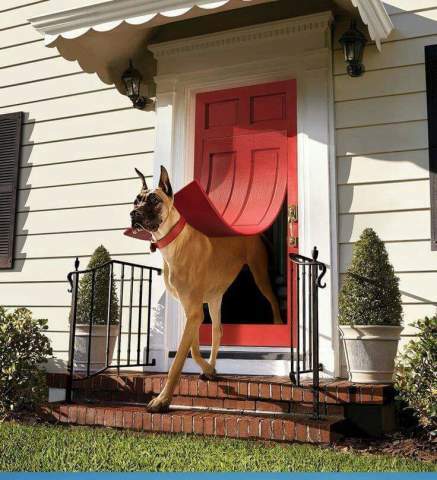 Now THAT is what I call a doggie door! That should scare the hell out of burglars. Now THAT'S a doggie door! What you can't see is that the cat flap is set inside his door. It lets the cat think she is as big as Bruno is.